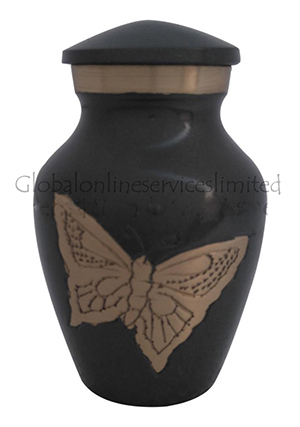 The classic engraved butterfly keepsake urn is a mini urn to preserve small amount of token ashes from cremation. 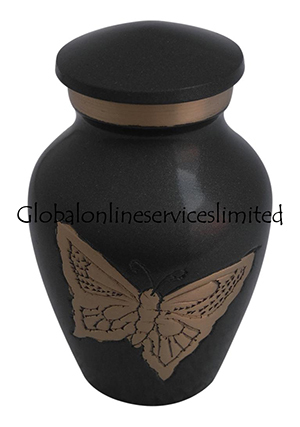 The small keepsake urn is made of quality metal brass and engraved flying butterfly to perfection from skilled professionals with the enamel finish. 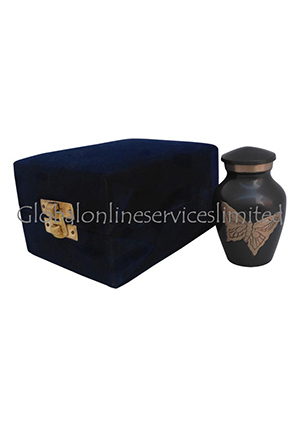 The keepsake mini memorial urn is smoothly engraved with a unique and full filled complete in single color. 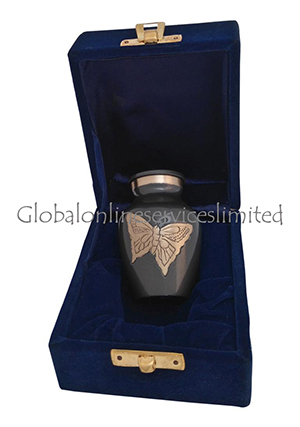 The keepsake ashes small urn is decorated with threaded lid on top for the usage to insert ashes of the loved member and the urn is capable of holding 3 cubic inch of ashes approximately and weighs 0.18 kg empty. 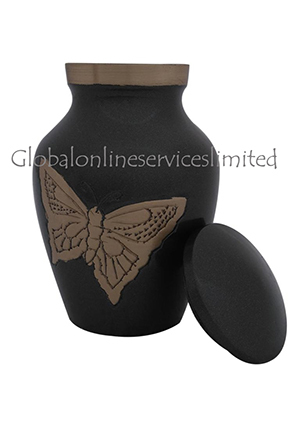 The classic engraved butterfly keepsake urn is measured to classic dimension of presence with 1.77 inch width, length and 2.76 inch height.